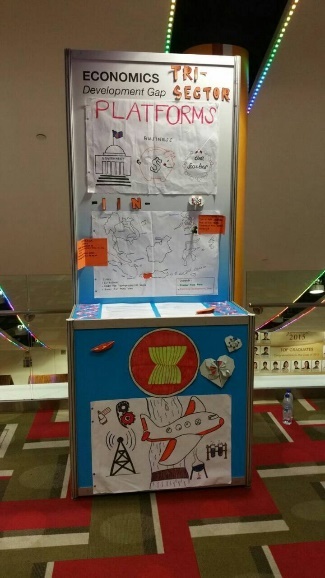 (Singapore 5-8 october 2015) Youth Model ASEAN Conference is the simulation of ASEAN Conference which brings all ASEAN students from all of its member states. All delegates debate and do research on current regional and global issue in ASEAN as well. The issues that discussed in YMAC are Environmental issue, Economics, Society, Security, and Technology. This event was held in Singapore, from 5 to 8 October 2015. 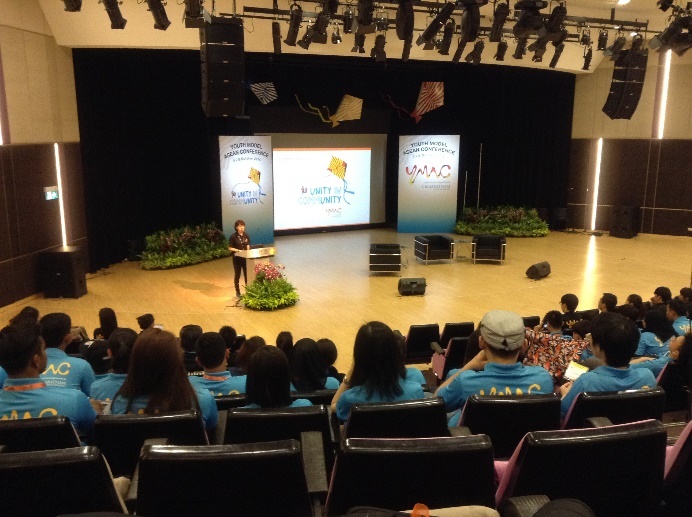 All the sessions were held at Singapore Polytechnic. That was the second time that YMAC was supported by the S. Rajaratnam Endowment (SRE) which serves to recognize Mr. S. Rajaratanam – Singapore’s first and longest serving Foreign Minister. There are 210 more delegates who came from member states in ASEAN. Most of the delegates are university students. My name is Nadya Rose P, the YMAC participant from Universitas Muhammadiyah Yogyakarta, and i was with my colleague, Galuh Octania joined this conference. We became the delegate for Vietnam in Economic Development Gap together with my friends from Singapore, Josceline and Naz. I was so lucky to get economics issues, because I am an economics student. Actually, this was not my first time visiting Singapore, but this event was totally different. I met so many new friends from different countries. And I got so many experiences. For the first time, I was scared that I could not engage well to the people out there. I never thought that time that i could adapt faster. 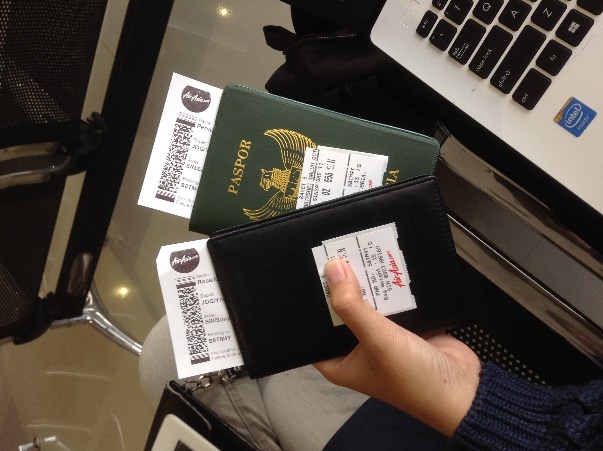 Galuh and I arrived in Singapore on Sunday, 4 of October 2015. I felt so proud because I could represent my university in this event. We were welcomed by YMAC’s committees. We met some delegates at the airport and waited for the other delegates. 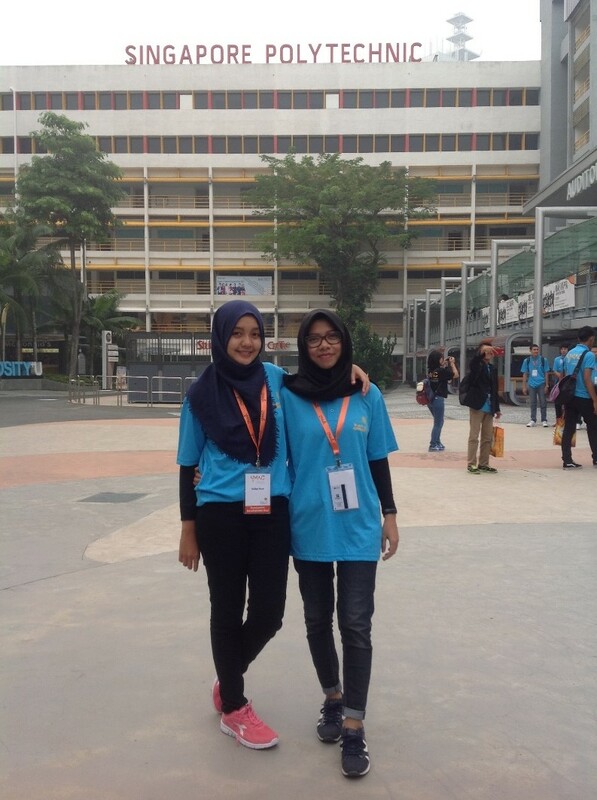 Actually, Galuh and I met the other Indonesian delegates there, and made friends with all of them. After all the delegates arrived, the bus took us to the Hotel, Holiday Inn Singapore. After that, there was some short briefing and the committee sent us to our room to take a rest. I got a roommate from Thailand, her name is Tischa. She was a nice and a shy girl, but she’s actually a funny girl. So lucky I am to have Tischa at that time. We share room together, and Galuh share the room with other delegates. And from this time the story was begun. This day was when all the story begun. In the morning, we went to Singapore Polytechnic. We had our breakfast there, and after that there was a bonding time session before the committee in session started. In this part, for the first time I met my economic development gap fellas, and the committee chairs, Zeph and Russel. Both of them were so nice to me. So that, I met Naz and Josceline, the delegates from Vietnam, for the first time. The issues that my committee talked is about the economic development gap which happened in every country in ASEAN. I got Vietnam side. 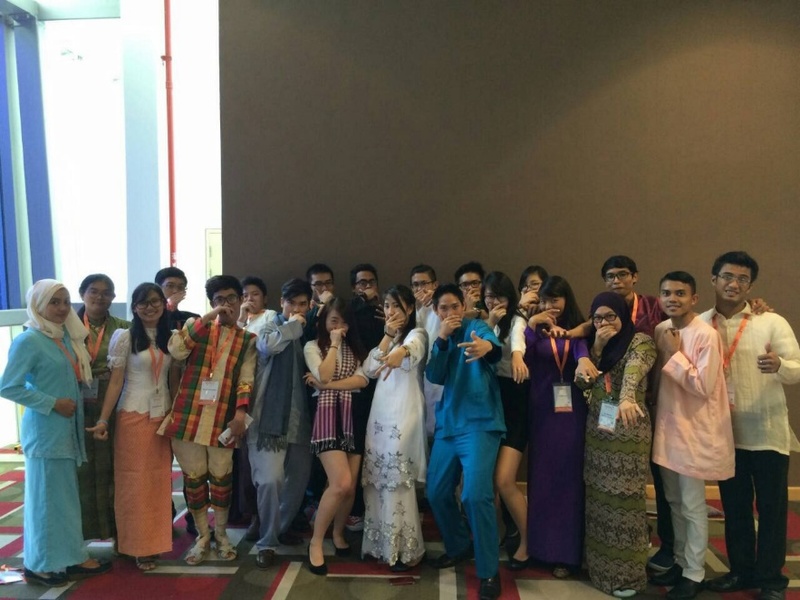 The committee session 1 was held at 1 PM, and we talked about the movement that ASEAN can do in the future. So, each delegates made some resolutions and post it then stick in the whiteboard. This aims for the better ASEAN. WE also taught by the chairperson about the debate rules that lasts for the next 4 days. Then we have our lunch that is provided by the committee. After having lunch, we had our opening ceremony in which was opened by Laura, we had our opening ceremony that lasts for 30 minutes. In the opening ceremony they provided us the videos, music, and many others. After the opening ceremony ended, we have our dinner. After dinner, we have our committee session 2. The main point from the second session is still about the explanation about the event, and finding the problems on our allocation country. We woke up at 6 am, had our breakfast, gathered in lobby, and went by bus to a venue in which different from one committee to another. We went to Singapore Management University by MRT to learn more about the introduction about the economic development on how we innovate the ideas to develop the country, we get many resources, brochures, and get the social activity. After that, by using MRT, we went to Marina Bay neighborhood. We went to the historical places, but the condition over there was still full of haze. It was so hot about there, but I had a good time and good friend, we took so many pictures together. In Marina Bay, we also met with other committees. But after that we separate our trip again. At the evening, we had our 4th session to continue the last session earlier. We finished our draft in this session. Today, we directly go to SP, and compiled all drafts from each countries to be made as one. This is our 5th session. On this session, we also talk about the draft, whether there will be any lack on the draft or not. Then we have our lunch together again. Then we have our YMAC social contribution in which we invited the elderly. We played with all the guests, and had games. Incidentally, we also knew the elderly from Indonesia. In here, we did karaoke, played traditional game, and made a kite. As like usual, we had dinner, and came into our 6th session. Each delegation signed the declaration draft, in which the draft will be shown in the gallery walk on the last day. On that night, we also designed our gallery walk for the EDG team. Then we went to the hotel after 10.pm. Today, I already checked out from the hotel in the morning. We went to SP to prepare our gallery walk. Gallery walk is the exhibition for each delegates to show the draft to everyone, especially for minister. Gallery walk held outside of SP. Before lunch, we prepared everything. After lunch, we set the gallery walk up. And we changed our clothes into our representative country. Everyone in EDG team pay a visit to each booth. We had our closing ceremony after that. In this ceremony, this is the last time for me to say goodbye to all of my friends. Then we get to see the videos through our day in YMAC. There was the performance from SP students. They also declared the best speakers from each delegation. After that we sung together. Then we had our farewell party when we had dinner in SP. There were lots of foods and talked with other friends. I also talked with the people from the Embassy, and shared many things with us. The farewell party also talked about all the Indonesian in Singapore. It was a sad moment from me, when we had this farewell party. We had so much fun, but we should separate. The Indonesian team should go back to the hotel, and we went to shop. Then slept until the morning. We went to the airport in that morning, and say goodbye to the committee. I will never forget the moments I spent in YMAC. I learnt so many things from the programs, from education, friendship, and many other things. I’d like to say thank to all the members of EDG team, to my roommate that helped me so much. I’d also want to say thank to Galuh for everything she does to me. Most importantly, thanks to IRO department for every helps, and assist me, and to UMY. I wish I could be aspired to anyone who read this and can be a better person.